Photo credit: Andrzej Banaś (Jazz Juniors 2018). 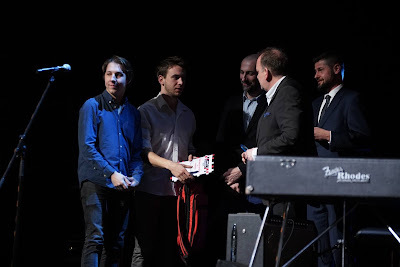 Second Prize was awarded to RASP Lovers (Poland) and Third Prize to RAME Jazz5tet (Italy). The competition, held annually in Kraków, attracted 26 bands from around the world for the competition. The first prize comprises 7 festival appearances and a recording contract. The competition was produced by the Fundacja Muzyki Filmowej i Jazzowej. Mary James attended the competition for LondonJazz News and her full report will follow.